On June 1, 2016, District Judge Gregory H. Woods (S.D.N.Y.) granted Defendant ASUS Computer International’s (“ACI’s”) motion to transfer its patent infringement suit to the Northern District of California, where it is headquartered. ACI filed its motion in response to a complaint filed by Plaintiff Sentegra, LLC (“Sentegra”), a Delaware limited liability company that, according to the Court, “lack[s] any meaningful connection to the Southern District of New York” given that “its principal place of business is in Colorado, no witnesses reside in New York, and no facts material to a patent infringement suit occurred in New York.” Sentegra argued that its choice of forum was nevertheless appropriate “because it ha[d] filed [two] separate patent infringement suits against different defendants” in the S.D.N.Y., both involving the same patent as that asserted against ACI. The Court disagreed, noting that Sentegra’s preference for the S.D.N.Y. as “the forum for patent infringement actions against defendants from far and yonder,” was not enough to make the S.D.N.Y. the appropriate forum in this case. Following Steck v. Santander Consumer USA Holdings, Inc., No. 14-cv-6942 (JPO), 2015 WL 3767445, at *2 (S.D.N.Y. June 17, 2015), the Court analyzed nine factors to determine whether the transfer was in the “interest of justice and convenience of the parties and witnesses”: (1) the convenience of the witnesses; (2) the convenience of the parties; (3) the location of relevant documents and the relative ease of access to sources of proof; (4) the locus of operative facts; (5) the availability of process to compel the attendance of unwilling witnesses; (6) the relative means of the parties; (7) the forum’s familiarity with the governing law; (8) the weight accorded [to] the plaintiff’s choice of forum; and (9) trial efficiency and the interests of justice. The Court held that in this case, three factors – the convenience of the witnesses, the convenience of the parties, and the location of relevant documents and the relative ease of access to sources of proof – all weighed in favor of transfer, while the other factors were either neutral or of little weight. Specifically, ACI’s location in the Northern District of California, which is also the location of several witnesses with relevant information and the location of relevant documents, weighed in favor of transfer to that district, notwithstanding Sentegra’s claim that some of its witnesses residing in Europe would be inconvenienced by travel to California, and that some of its documents were held by its counsel in the Southern District of New York. As discussed by the Court, “[d]istrict courts have given little, if any, weight to the convenience of witnesses who reside in neither the transferor nor transferee forum,” citing Elec. Workers Pension Fund, Local 103, I.B.E.W. v. Nuvelo, Inc., No. 07-cv-1229 (HB), 2007 WL 2068107, at *4 (S.D.N.Y. July 20, 2007), and “convenience to counsel, and consequently the location of relevant documents at counsel’s office, is not considered,” quoting I. Create Int’l, Inc. v. Mattel, Inc., No. 03-cv-3993 (JFK), 2004 WL 1774250, at *4 (S.D.N.Y. Aug. 9, 2004). 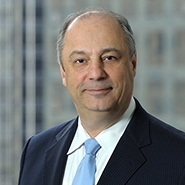 While one factor – the Plaintiff’s choice of forum – weighed against transfer, the Court held that the weight of this factor was “substantially diminished” given Plaintiff’s lack of connection with the jurisdiction. Finding the other factors “neutral,” the Court disagreed with Sentegra’s claims that proceeding in the S.D.N.Y. would promote trial efficiency, noting that the suits would proceed separately from any other patent infringement action against unrelated defendants, and that “parallel suits in separate district courts present no greater risk of inconsistent judgments than parallel suits in the current forum.” The Court stated that “a party cannot simply use a related case ‘as a magnet to attract other cases . . . to a forum where those cases would not otherwise be,’" citing Children’s Network, LLC v. PixFusion LLC, 722 F. Supp. 2d 404, 415-16 (S.D.N.Y. 2010). Case: Sentegra, LLC v. ASUS Comput. Int’l., No. 1:15-cv-3768-GHW, 2016 U.S. Dist. LEXIS 73168, 2016 BL 173831 (S.D.N.Y. June 1, 2016). The patent-in-suit is U.S. Patent No. 8,706,627.